People prefer to consume food produced organically. 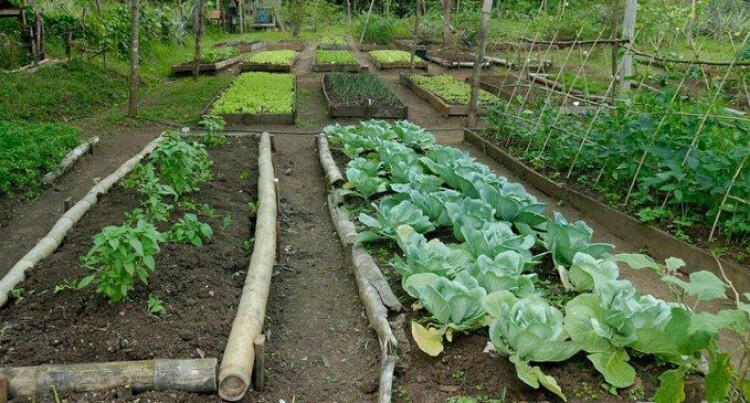 Focus on Organic Farming, Fiji Development Bank (FDB) is working on developing new lending policies specifically designed for organic farming as this is still a niche area in Fiji. FDB chief executive Deve Toganivalu said: “The organically grown product market has huge potential. Mr Toganivalu said the continuous Government support towards tourism, sustainable energy, and climate change adaptation strategies will see new lending policies. This would serve to effectively grow the portfolio in these sectors and set new standards that dovetail into global benchmarks. “The Bank’s increased participation will help create employment opportunities, enhance foreign exchange necessary for economic growth and prosperity,” he added. The bank is also strongly committed to adding value to the development of the agriculture sector in Fiji. This is too with a multi-sector focus to provide finance that contributes to the development of a sustainable economy. In 2016 (FY), agriculture-related loans formed the largest part of the Bank’s Loans Portfolio with more than 50 per cent of the total accounts and loans amounting to $72.7 million. Of this 825 loans were approved in 2016 alone. Building Capacity for Small Business Growth Six Fiji Development Bank (FDB) employees also attended a two-day financial training to up skill their knowledge in techniques for developing small and medium size businesses. This is with the aim of transferring knowledge to clients. “FDB is positioning itself to become an active contributor towards building strong and responsive businesses in Fiji,” said Mr Toganivalu. The Bank has a Small and Medium Enterprise facility. This is specifically designed for the small and medium entrepreneur interested in starting or expanding their business and provides financial advisory services by our experienced lending team he said. “So it is important to ensure that we continue to build our own capacity,” he said. The Small Business Financial Training – Level 3 is facilitated by Pacific Island Private Sector Organization (PIPSO). It is delivered by Leslie Massey, from Australian Volunteers International (AVI), who has developed PIPSO’s Financial Toolkit for their financial training programmes. The modules are designed to cover techniques that build on from the fundamental topics covered in levels 1 and 2 training. Level 3 training covers an advanced module focusing on strategic planning, business costs and pricing, preparing a business plan, capital expenditure decisions, funding, debt and equity, valuing a Business and a bank’s view of finances. Training Officer, Deepika Chand, Credit Risk Analyst SME, Alan Munivai, Policy and Procedure Development Officer, Ashwindra Kumar, Relationship and Sales Officers Aseri Vakatawa. organic farmingThe Chinese New Year celebration was a hit at the Jack’s of Fiji outlet in Nadi on Wednesday night.